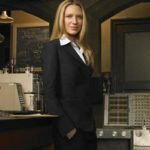 So, you’re ready to watch Fringe. Maybe you’ve finally decided that the attraction of Pacey from Dawson’s Creek is too much to resist. Maybe you realized that Denethor from The Lord of the Rings movies is one of the main characters, and you want to see how he does playing a mad scientist. Or maybe you miss The X-Files and you’re willing to watch this new FOX show to see if it fills the hole in your life. Or perhaps it’s just that you’ve heard all the buzz about how great the show is — and let me tell you, it’s all true. Either way, there’s a decent chance you don’t feel like you have enough time to watch three seasons of television in time for the new season — though they are all out on DVD, so you can go for it if you want. And Fringe is a very arc-driven show by this point, so I don’t recommend you jump right in with season four. But never fear, I have a solution for you: here’s the first of my season recaps, so you can feel caught up and ready. I would also be remiss in not pointing you to FOX’s solution to this problem. They call it a web series, but from what I’ve seen, it’s more of an online video recap, with John Noble (Walter) narrating. I will admit I haven’t watched more than a few minutes, because I don’t need a recap, but from all accounts it’s good and will catch you up. All right. It’s difficult to squeeze all this into a few pages — I feel a bit like Jeremy from Sports Night being asked to cut down several minutes of baseball highlights into just a few seconds. Anyway. So the show centers primarily on Special Agent Olivia Dunham of the FBI. She’s played by the beautiful Anna Torv, who’s actually Australian. Her American accent is usually quite convincing, although there are a few words the practiced ear can catch as not quite right. I took a class on accents of English, so I’m one of those who do hear some slip-ups, but it doesn’t bother me. 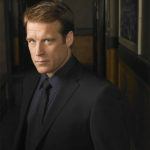 Olivia is in a serious relationship with her FBI partner, John Scott, at the beginning of the show. Unfortunately for her, and for John, John dies in the pilot. First he has a nasty science-y infection that almost kills him, and then when he recovers from that it suddenly looks like he’s a traitor and then he dies in a car accident before he can explain himself. But before he dies, in order to save him, Olivia Googles for someone who can help solve John’s problem and comes up with the name Dr. Walter Bishop. He’s researched almost anything you can think of in the field of bizarre science, including what’s killing John. He’s almost been committed to an insane asylum for over a decade. He’s played to mindblowing perfection by John Noble. Olivia’s boss, Agent Philip Broyles, isn’t really excited about her following this lead at first, but he eventually says that if she can figure out a way to do it, he’ll support her. Olivia needs an immediate family member in order to even be allowed to visit Dr. Bishop. His only living relative is his son, Peter. The fact that he has a sketchy, possibly criminal past and is currently living in Iraq doesn’t put her off. She just hops a plane and finds him. 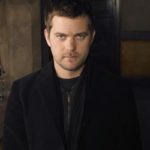 Yes, ladies and gentlemen (particularly the ladies), Peter Bishop is played by the dashing and talented Joshua Jackson. I wasn’t really familiar with him before I watched this show. To be honest, at first I didn’t think he was my type. But it didn’t take very long for me to change my mind. He’s an excellent, subtle actor, and he and John Noble have some of the best son/father chemistry I’ve ever seen — but I’m getting ahead of myself. So. Walter is released into Peter’s unwilling custody, and decides he needs his old Harvard lab (where he actually used to work for the government doing classified research) in order to work. The lab also gains a cow, supposedly for research purposes, and Olivia’s assistant, Junior Agent Astrid Farnsworth. 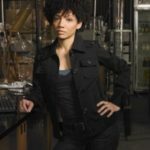 Poor Astrid, brought to life by Jasika Nicole, is often reduced to babysitting Walter or going to fetch the sweets Walter frequently craves. Olivia has another partner at the FBI, whom she’s worked with ever since she joined. 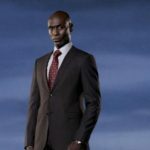 His name is Charlie Francis, and they trust each other implicitly. Even though he often doesn’t understand the weird cases Olivia works on, he’s a helpful resource and a true friend.